January 25, 2017: Today, the Toronto Symphony Orchestra (TSO) proudly unveils its 96th performance season. From awe-inspiring music by legendary composers to dance-all-night Pops, and bold and experimental works to educational concerts and Hollywood films with live orchestra, the TSO has something for everyone. 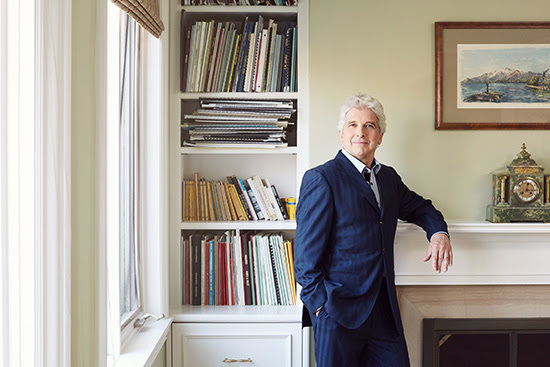 As 2017/18 will be Peter Oundjian’s 14th and final season as Music Director, the programming is an extended celebration of his extraordinary contributions to the TSO, and to the City of Toronto. The spotlight is on the Maestro throughout an exceptional season that features several special events, and many joyful performances curated and conducted by Peter Oundjian himself. The TSO season culminates in June 2018 with an abundance of momentous concerts conducted by Peter Oundjian, featuring special appearances by pianists Jean-Yves Thibaudet (Brahms Symphony 1 on June 13 &14), Daniil Trifonov (Rachmaninoff Piano Concerto 3 on June 16), and Emanuel Ax (Mahler Symphony 9, June 20–23). Revered Canadian actor Christopher Plummer also brings his magic to the TSO stage for an evening of Shakespeare and enchanting music (Bravo, Peter! on June 26). With a rousing event, Peter Oundjian concludes his 14-year term as Music Director, by taking the podium to lead a quintessential work from the repertoire: Beethoven’s Ninth Symphony (June 28 & 29, 2018). 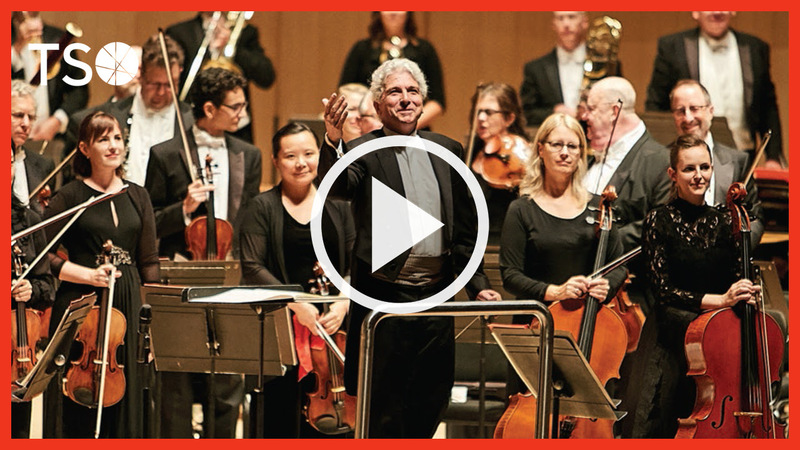 A cast of brilliant soloists and a large chorus join forces with the Orchestra and Peter Oundjian for this stirring testament to joy and brotherhood—a fitting finale for the dynamic and esteemed artistic leader. As Canada Mosaic—a Signature Project of Canada 150, funded by the Government of Canada—continues, 2017/18 is punctuated with numerous TSO Commissions and World Premières, beginning with Opening Night: Life of Pi, on September 19. Canadian composer Mychael Danna’s Academy Award–winning score for the film Life of Pi, based on the novel of the same title by Canadian author Yann Martel, makes its World Première on the TSO stage as a new orchestral suite. Peter Oundjian leads the Orchestra, and Canadian violin sensation James Ehnes also makes an appearance. Afghanistan: Requiem for a Generation, a soul-searching work by Canadian composer Jeffrey Ryan and poet Suzanne Steele (November 9 & 11), which features a brilliant cast of soloists including soprano Measha Bruggergosman. Many concerts in 2017 will also feature Sesquies (two-minute orchestral pieces) as part of Canada Mosaic. The glittering season brings many radiant musical stars to the TSO stage, including pianist Lang Lang (March 1, 2018), violinist James Ehnes (September 19, 2017 & May 26, 2018), pianist Jan Lisiecki (September 22 & 23), tenor Michael Schade (October 19 & 20), pianist Marc-André Hamelin (October 25 & 26) , pianist/leader Angela Hewitt (November 18 & 19), soprano Karina Gauvin (December 18–23), pianist Ingrid Fliter (January 31–February 2, 2018); violinist—and well-known actor—Blake Pouliot (April 14 & 15, 2018); pianists Yefim Bronfman (May 23 & 24, 2018) and Leon Fleisher (May 2 & 3, 2018); violinist Vadim Gluzman (June 8 & 9, 2018), and more. Outstanding events are sprinkled throughout the season, including Brahms’s German Requiem (September 27–30) with Canadian singers Erin Wall and Russell Braun; Oundjian Conducts Vaughan Williams, featuring Canadian pianist Louis Lortie (November 15 & 16); and Bernstein’s Candide—presented in a concert version to mark the centenary of the great American composer—conducted by Bramwell Tovey and starring Canadian singers Tracy Dahl and Judith Forst (April 26 & 28, 2018). The 2017/18 season brings back two festivals that were created by Peter Oundjian, and have now become audience favourites: the Mozart Festival (January 10–21, 2018)—marking the anticipated return of Montreal piano phenomenon Charles Richard-Hamelin—and the New Creations Festival (March 3–10, 2018), which includes the North American Première of Little Mass by Sir James MacMillan (March 7, 2018). The TSO remains in the limelight with the much sought-after Films with Live Orchestra presentations such as Home Alone (December 1 & 2), The Wizard of Oz with Live Orchestra (February 17 & 18, 2018), and Jaws in Concert (March 21–23, 2018). TSO Principal Pops Conductor Steven Reineke leads a dazzling series of Pops concerts: Music of John Williams (October 3–5); On Broadway (April 10 & 11, 2018); and Love, Lust, and Rock & Roll—starring vocalist Storm Large (May 29 & 30, 2018). Rob Kapilow returns as host & conductor of the popular Exposed series. Families will enjoy the Young People’s Concerts, which include Wall-to-Wall Percussion, starring Canadian percussionist Vern Griffiths, led by RBC Resident Conductor Earl Lee (November 4); The Year of the Dog: A Chinese New Year Celebration (February 24, 2018), featuring pipa player Wen Zhao and conductor Carolyn Kuan; Classical Kids: Gershwin’s Magic Key, led by conductor Michelle Merrill (March 24, 2018); and The Animated Orchestra, led by conductor Dina Gilbert (April 21, 2018). Sparkling holiday concerts include Best of Tchaikovsky with Keri-Lynn Wilson (December 6 & 7); Messiah (December 18–23), and more family-friendly events such as The Snowman (December 10) and Canadian Brass Christmas (December 12 & 13). 2017/18 also brings blockbuster programs featuring celebrated guest conductors: Mahler Symphony 6 with Donald Runnicles (November 23–25), Mozart@262 Festival with conductor/co-curator Bernard Labadie (January 10, 13, 17 & 18), Holst The Planets with John Storgårds (January 25–27, 2018), Prokofiev Romeo & Juliet (February 14 & 15, 2018) and Sibelius Symphony 5 (April 5–8, 2018) with TSO Conductor Laureate Sir Andrew Davis, Brahms & Rachmaninoff with Stéphane Denève (March 28 & 29), Beethoven & Shostakovich with Osmo Vänskä (May 23 & 24, 2018), Schubert Symphony 9 with Juanjo Mena (October 25 & 26), Dvořák & Beethoven with Gustavo Gimeno (February 21 & 22, 2018), and Tchaikovsky Violin Concerto with Thomas Dausgaard (June 8 & 9, 2018). 2017/18 includes appearances by four guest orchestras, beginning with a highly anticipated performance by the Israel Philharmonic Orchestra with Zubin Mehta (October 28). The TSO also welcomes the National Arts Centre Orchestra with Alexander Shelley (March 24, 2018), Orchestre symphonique de Montréal with Kent Nagano (April 13, 2018), and Vancouver Symphony Orchestra with Bramwell Tovey (May 26, 2018). Throughout the season, audiences also get to applaud soloists from within the ranks of the Orchestra: Concertmaster Jonathan Crow, Principal Viola Teng Li, Principal Cello Joseph Johnson, Principal Clarinet Joaquin Valdepeñas, Principal Trumpet Andrew McCandless, Principal Harp Heidi Van Hoesen Gorton, and Principal Oboe Sarah Jeffrey all step into the spotlight. The TSO Chamber Soloists also bring back their popular series of pre-concert performances, curated by TSO Concertmaster Jonathan Crow. The TSO’s 2017/18 season is orchestrated as an ongoing celebration of Peter Oundjian—an Ode to Joy. TSO 2017/18 SEASON SUBSCRIPTIONS ON SALE NOW! All concerts at Roy Thomson Hall, 60 Simcoe St., unless otherwise noted. All artists, programs, dates, prices, and chats are subject to change without notice. Canada Mosaic is funded in part by the Government of Canada. The TSO’s 2016/17 Season Presenting Sponsor is BMO Financial Group. About the TSO: Founded in 1922, the Toronto Symphony Orchestra is one of Canada’s most important cultural institutions, recognized internationally. Music Director Peter Oundjian leads the TSO with a commitment to innovative programming and audience development through a broad range of performances that showcase the exceptional talents of the Orchestra along with a roster of distinguished guest artists and conductors. The TSO also serves the larger community with TSOUNDCHECK, the original under-35 ticket program; the Toronto Symphony Youth Orchestra; and music-education programs that reach tens of thousands of students each year.